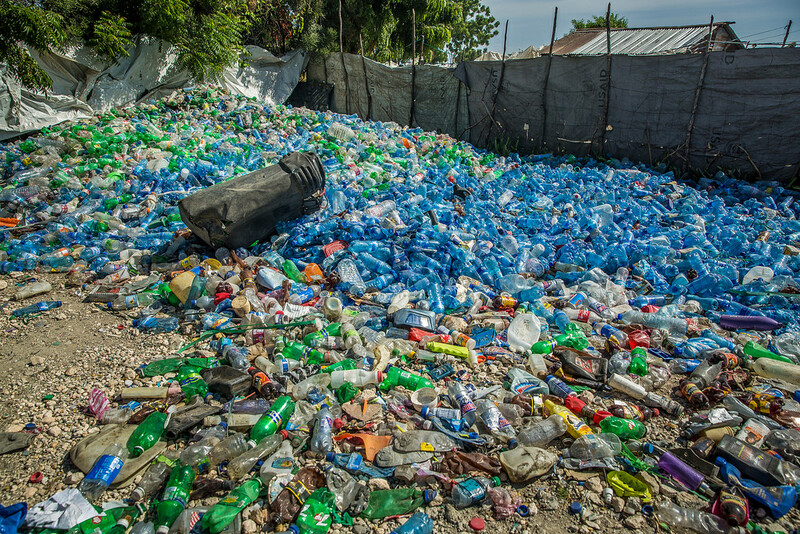 When providing emergency shelter and clean drinking water following a Natural Disaster, aid agencies often leave behind a long-term 'man-made' Ecological Disaster of plastic trash. Fortunately, we now have an ecologically safe and cost effective solution available for disaster response providers. 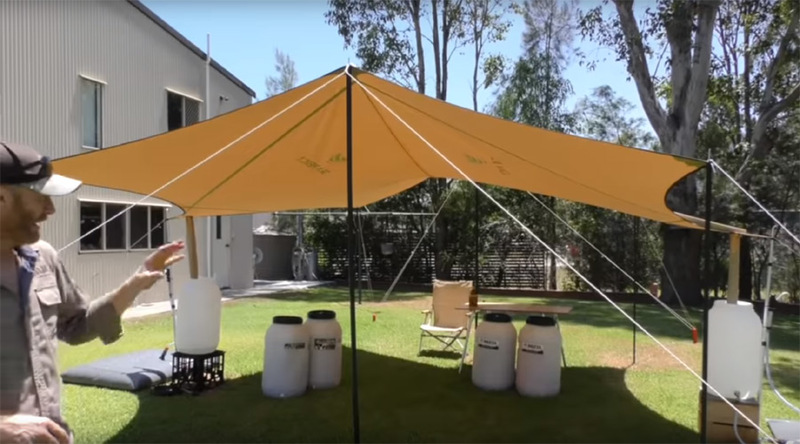 Providing renewable drinking water (and shelter) without damaging the environment! On the 2,400+ remote islands spread across the South Pacific, up to 80% of all drinking water comes from water catchment (rain collected from their roofs into storage tanks). When Cyclones strike, not only are their fragile homes destroyed, but also their primary source of clean drinking water. 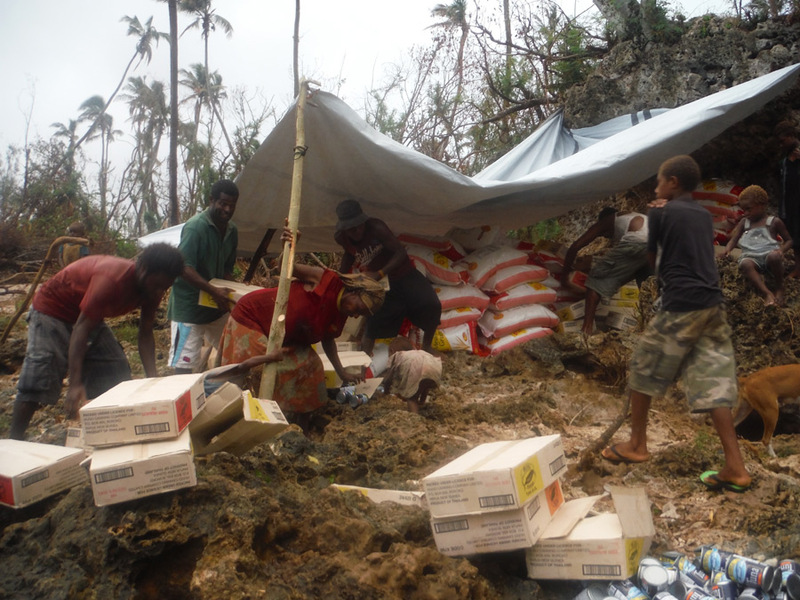 The long-term goal following a cyclone is to deliver the roofing tin and lumber to rebuild homes and water catchment tanks, however the logistics of such efforts can create delays of 12+ months. In the interim, remote islanders are at extreme health risks from cholera, dysentery and other waterborne illnesses from drinking contaminated surface water filled with feces and bacteria. To address those needs, international aid agencies and local governments ship thousands of emergency ‘single use’ plastic bottles of water to each affected community. 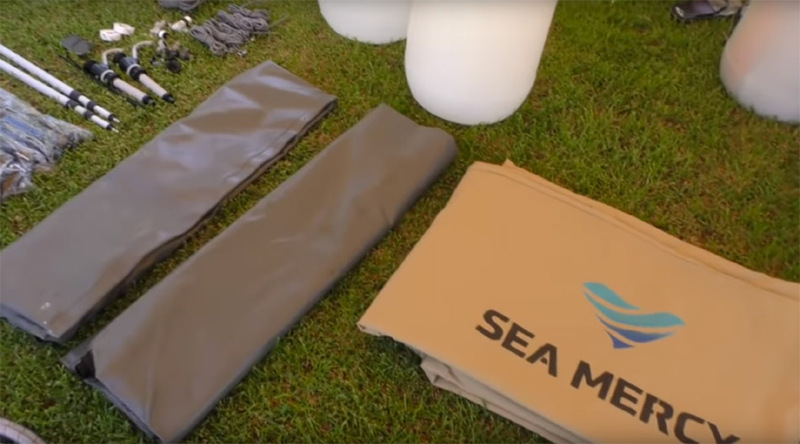 Although it meets the emergency water needs, it unfortunately replaces a natural disaster with a long-term ecological disaster leaving massive amounts of leftover plastic trash that destroys their reefs and oceans. 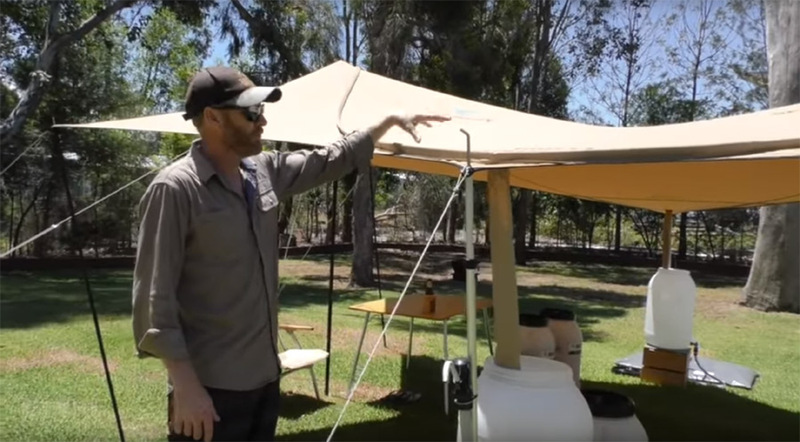 Fortunately, we now have a better way to deliver shelter and renewable clean drinking water without the unwanted flow of plastic. 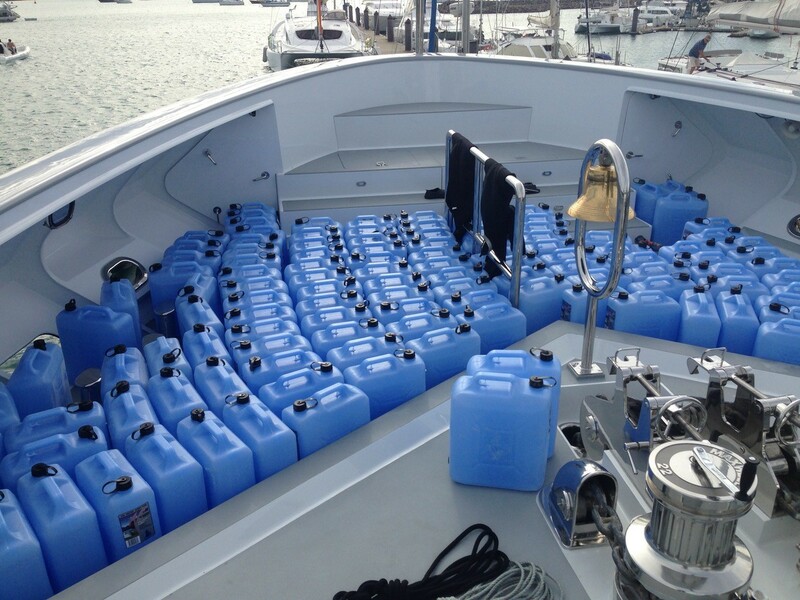 Imagine the logistical savings in precious fuel and disaster aid space if the first delivery by a disaster response transport vessel was two lightweight containers per family. Containers that would provide each family with emergency shelter, eliminate their ongoing drinking water needs and allow all future transport efforts to focus on delivering valuable supplies to rebuild their homes and communities (instead of water). That is a SMART solution. 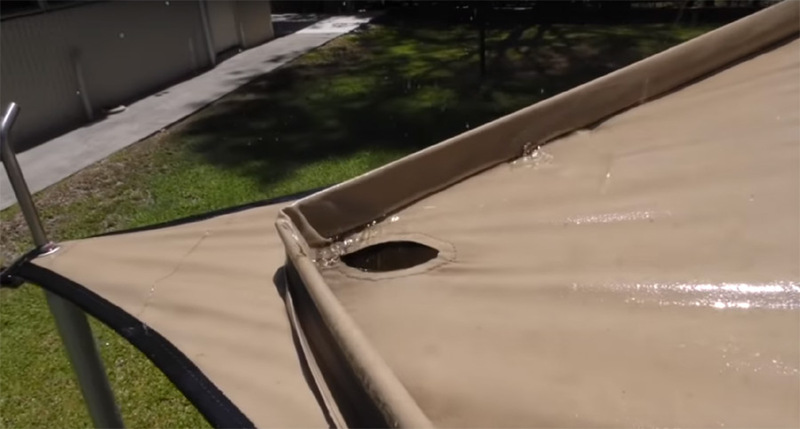 Finding a hole in your tarp is generally a bad thing. However, the two perfectly placed drain/catchment holes (and guttering guides) at the lower sides of the patented SMART kit allows us to effectively catch and store fresh rainwater in our twin tanks and bladders, yet leaving plenty of headroom. When it comes to shelter, the exceptionally warm and wet weather in the South Pacific means staying dry is the path to staying warm (airflow is a blessing). 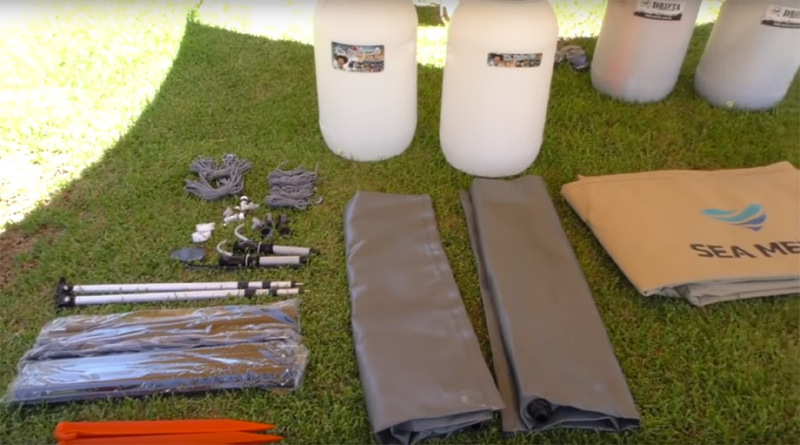 The SMART kit can be setup quickly (less than 30 minutes) and can be quickly torn down and put away for safe keeping should another cyclone be in the forecast. 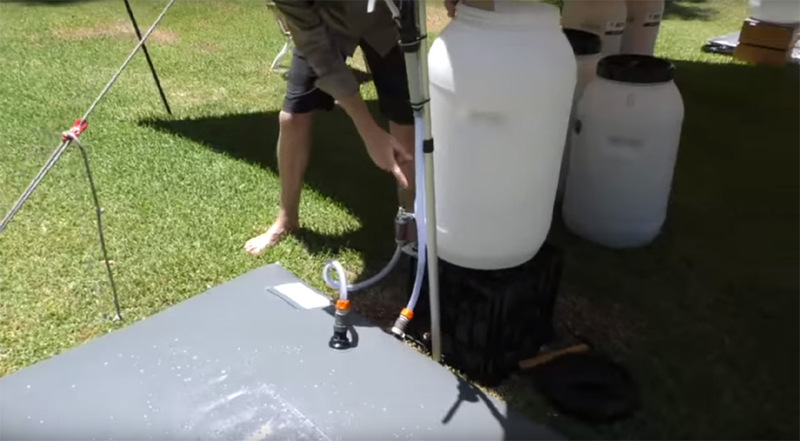 Each SMART kit can store over 500 liters of clean rainwater water for drinking (41 days of water for a family of 4). 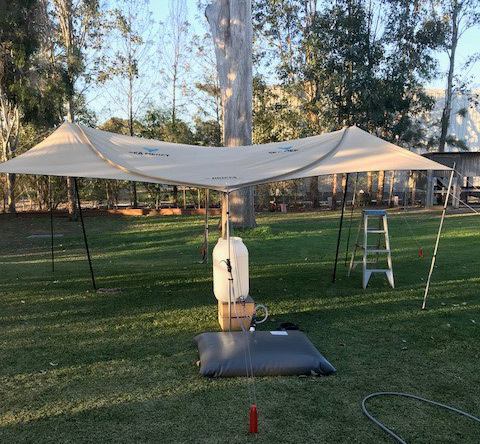 The tarp area provides over 10 square meters of water catchment capacity and as little as 10 mils of rain (1/2 inch) can collect and store over 110 liters of drinking water. 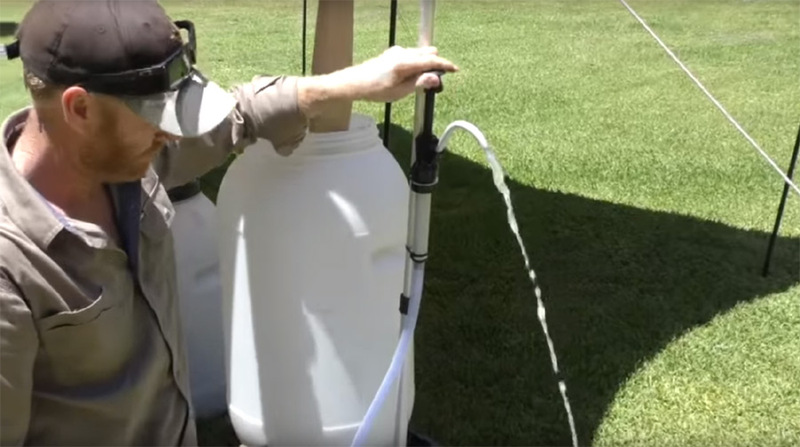 Our connecting hoses and hand pump system is durable and effective in all areas of water storage and transfer needs. We make getting the water out of the storage bladders and into a cup or pan just as easy as it went in and our sealed connectors help keep contaminants from entering the system. The SMART kit is comprehensive and durable. Every component was researched and designed to work in the most challenging conditions. Having matching components (twins) throughout the product provides an effective level of redundancy. 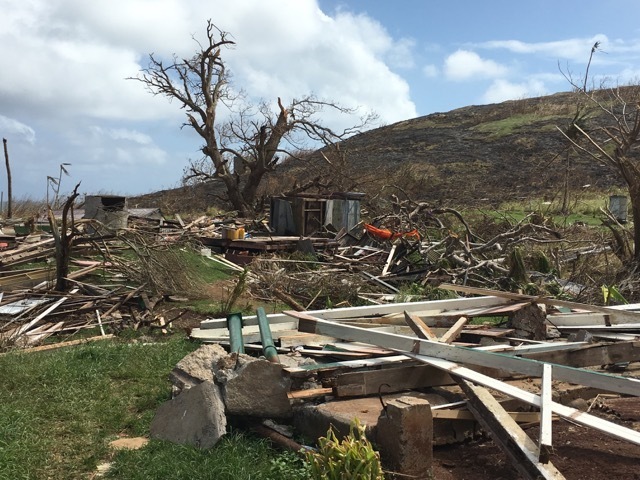 Thousands of homes were destroyed by Cyclone Winston (Fiji) in 2016. 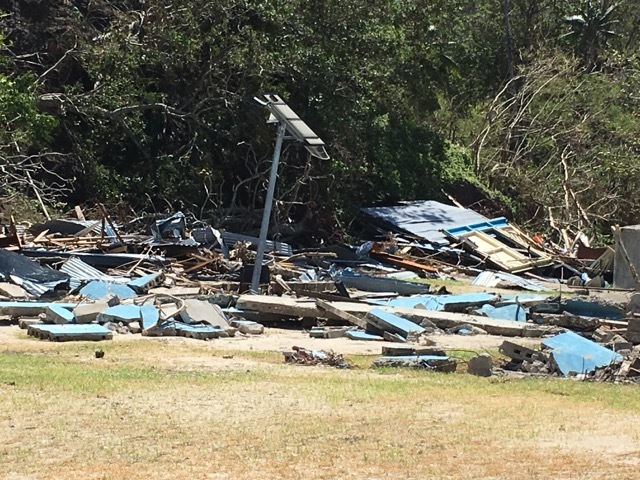 Almost three years later, many of the 'remote' island homes have yet to be rebuilt. The more populated 'primary' islands can deliver recovery aid by road or plane, therefore Sea Mercy focuses our disaster response efforts on the more challenging 'at risk' remote islands. 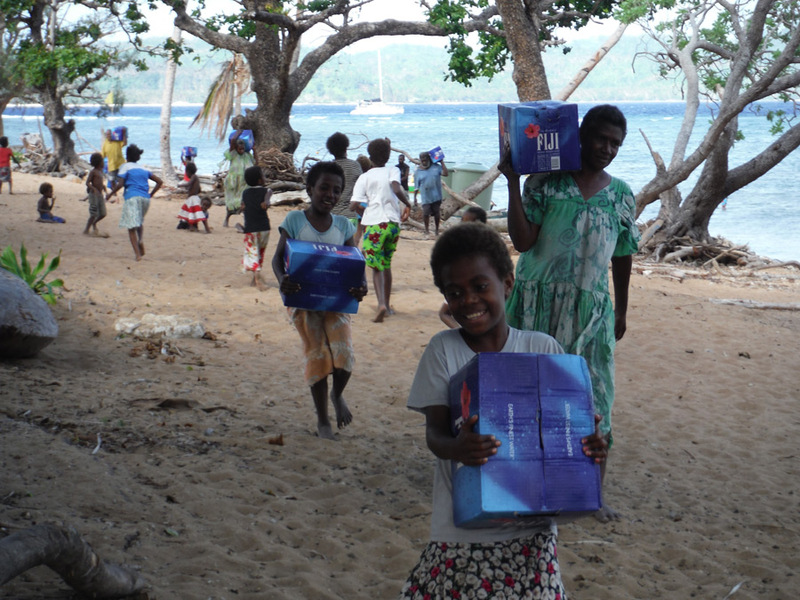 Our initial goal is to have over 500 SMART kits produced and staged for immediate delivery at our secure Sea Mercy Fiji facilities. It will be a challenge to get to 500, but with your help we believe it is achievable. Donate for a SMART Kit Today! 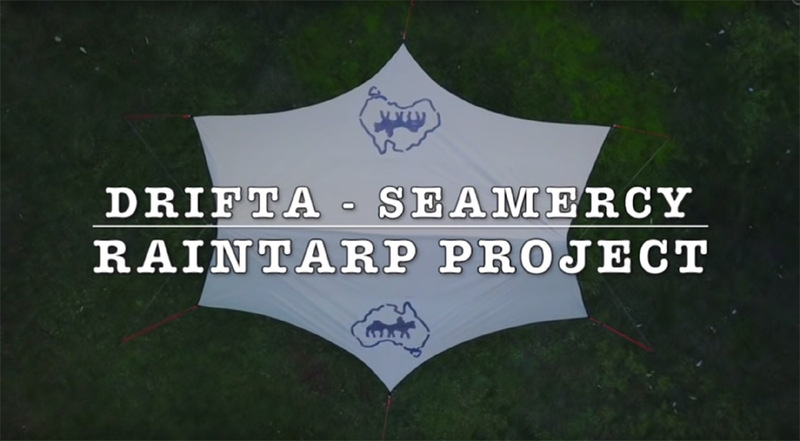 * For an additional $150 donation on orders of 2 or more SMART Kits, we can add your brand/logo onto the each tarp. Our SMART kits can be built individually to order (when funds are available) for the below costs. As with most products, with larger orders our costs are lower.